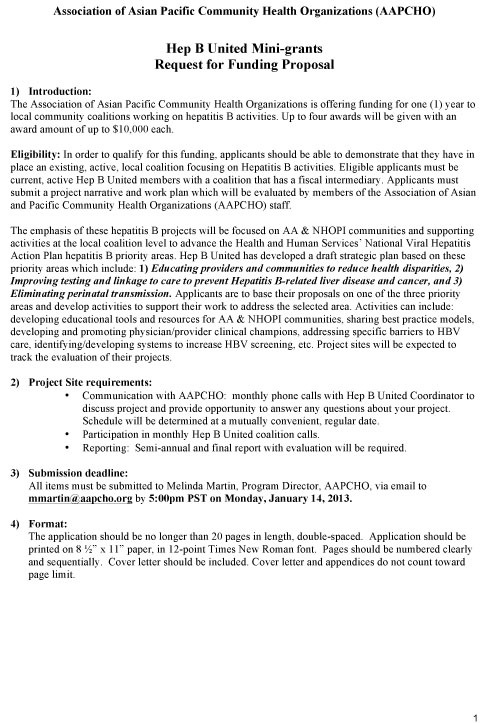 AAPCHO is offering funding for one year to local community coalitions working on hepatitis B activities. Up to four awards will be given with an award amount of up to $10,000 each. All items must be submitted to Melinda Martin, Program Director, AAPCHO, via email to mmartin@aapcho.org by 5:00pm PST on Monday, January 14, 2013. For more information, download this RFP.